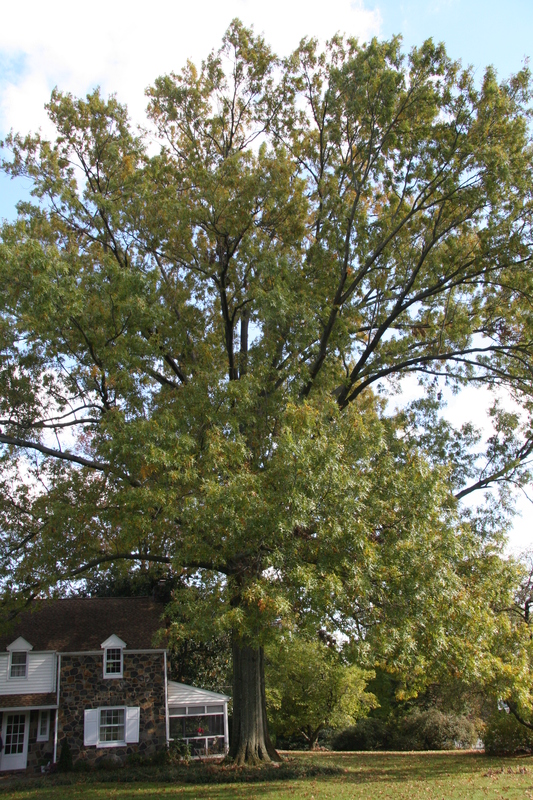 Pin oak prefers deep, moist, rich soils such as those in bottomlands and the borders of swamps. Wood from pin oak takes special handling because of its tendency to split. Its acorn is quite round, about a half-inch in diameter, light brown with a thin, scaly, saucer-shaped cup. The trunk is covered with smooth, light gray-brown bark. 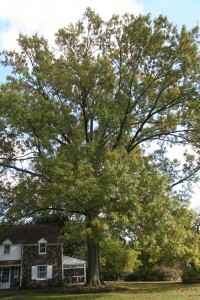 Pin oak leaves are divided into 5 to 7 lobes by wide, deep sinuses that are rounded at the bottom. The lobes are toothed and sharply pointed. Leaves turn red or scarlet in fall.